Madeira Island is located in the Atlantic Ocean off the coast of Portugal and Africa; an island of mountains surrounded by deep blue sea. For many years it has been a favourite destination with tourists and is now growing ever popular with Golfers; and for good reason too. Its subtropical climate guarantees all year round blue skies and stunning views over the ocean, steep cliffs and most of all, great golf courses. There are 3 superb Golf courses in the Madeira archipelago, being Santo da Serra Golf Club, Palheiro Golf Club and Porto Santo. 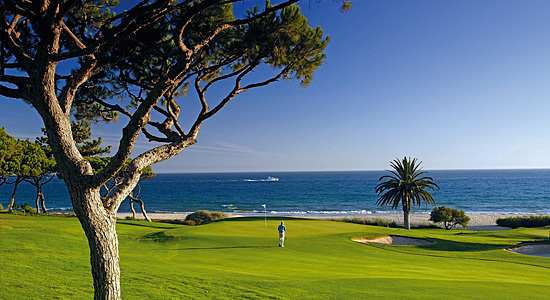 There is a fourth championship golf course being built in Ponta do Pargo, designed by famous golfer Nick Faldo which is to be commenced this year and is due to be completed by 2013/2014. For details about the golf courses in Madeira, including green fees, please contact us using the submit form below. We also have a great selection of quality accommodation close to the golf courses. Please visit the search box on the home page for details.